Many people know Bali for its serene rice fields and majestic beaches, but those who love the nightlife also consider Bali as the ultimate travel destination thanks to all the great bars and clubs that can also be found on the island. As the center of nighttime entertainment in Bali, Kuta can get crowded and a bit rowdy, so many people have also started flocking to Seminyak where the nightlife is more sophisticated thanks to the many chic bars and restaurants in the area. This is where you can party with the funky creative artists and fashion designers. The dance floor is lively, yet very classy. Although many other bars and clubs are found in the other areas of Bali, these three areas – Kuta, Seminyak, and Legian – have the best atmospheres for partying. Bali is currently the hottest beach destination in Asia, thanks to the many beaches that surround the little town. In fact, if you visit Bali, you can spend days on beach hopping alone. So before you decide to go to Bali, you should already know which beaches you really want to visit. Here are the most popular beaches in Bali and what each of them offers. 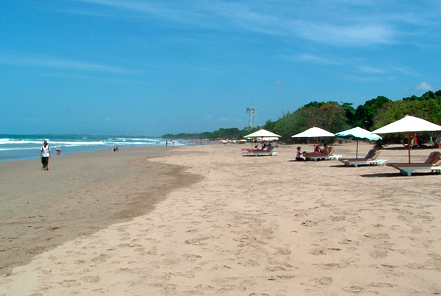 Definitely Bali’s most popular beach, Kuta Beach is the number one beachside party destination. If you’re into partying on the beach, especially at night, then Kuta is your top pick, just as long as you don’t mind the crowd and the drinking. It can get extremely lively, but that’s part of what attracts lots of tourists from all over the world to Bali’s best known beach. 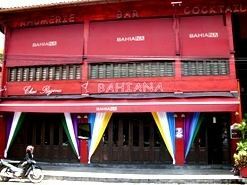 If Kuta has gotten a bit too crowded for you, then there’s always Legian, the up-and-coming version of Kuta. If you’re into snorkeling and diving, Lovina Beach has plenty of excellent spots for both activities. Nusa Dua is the more prestigious beach in Bali. It is the location of many world-class hotels and luxury resorts. If you want to experience Bali’s upmarket beachside offerings in a secure, quiet, and pristine environment, then this is the beach to choose. You can spend your afternoons just lounging around or exploring the luxurious 18-hole golf course and other first-class facilities that are available on the beach. Sanur is dubbed as the original Bali beach resort, and sure enough, if you want to get a feel of the authentic Balinese vintage ambiance, this is the beach to visit. The coastline is quite and relaxed, but it is cheaper to visit compared to Nusa Dua. It has a more laid-back feel, which is still reminiscent of the small fishing village that used to be in the area. It is also home to the Inna Grand Bali Beach, one of the first beachside hotels in Bali. 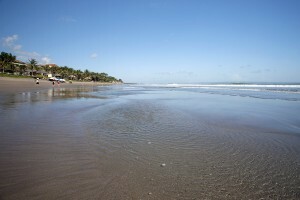 For a more cosmopolitan beach experience, then the Seminyak Beach would be perfect for you. 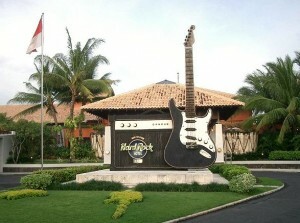 It is luxurious like Nusa Dua, but it has a hip, more fashionable environment. It is filled with boutiques and chic restaurants. Although it has a lively nightlife like Kuta, it also offers several chic spa retreats. In other words, if Sanur Beach is the beach of traditional Bali, then Seminyak is the beach of modern Bali. If you want someplace more hidden away, the small and quiet Soka Beach near the ferry port town connecting Bali to Java is an excellent choice. Now take your pick, or get a taste of each one of these beaches to make the most out of your Bali getaway. The Volcanic Mount Batur is an active volcano with a very unique location. The volcano lies at the center of two concentric calderas in the northwest portion of Mount Agung, which is found in Bali. On the south east side, there is a large caldera lake, which was formed 23,000 to 28,000 years ago. 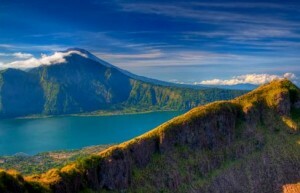 The volcano and the lake lying quintessentially side by side offers a majestic view, one that many tourists fly to Bali for. There are many ways to fully experience the Volcanic Mount Batur, the most challenging of which is to climb it. Many volcano climbing tours and treks are available, some of which are scheduled during sunrise, which is the best time to enjoy the amazing view. Mt. Batur peaks at 1717 meters and is an excellent experience for mountaineering enthusiasts. However, since the climb is fairly easy, so even families are free to try the experience, as long as an experienced guide is part of the group. As a tip, look for tours that trek around the entire rim of the volcano while climbing to the summit, as these will offer you excellent 360-degree views of the surrounding mountains. If you’re lucky, you may come across some monkeys who frequent the area near the largest crater. During the trek, you will also see lots of steam fissures and recent lava flows from any of the three craters of the volcano. 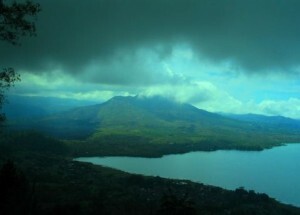 Mount Batur Volcano is located in the Kintamani District of Bali. If you want simply to get a good look at it without trekking to the peak, the best vantage point is in Penelokan Village. The volcano has erupted lots of times already, with its biggest eruption occurring back in 1926, when it destroyed the nearby Batur Village. In 1974, it spewed out black lava in what is known as the volcano’s most unique eruption. Although still active, the volcano is fairly calm nowadays, although it is smoking all the time. It is now one of the best natural attractions in Bali. 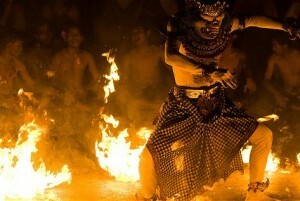 If you’re in Bali, don’t miss the famous Kecak Dance. The renowned Balinese dance is performed regularly at the Uluwatu Temple in Bali. A Kecak performance is very simple. It is performed by fifty men wearing loin-cloth and dancing in rows of circles while chanting the words ‘Cak ke-cak ke-cak ke-cak ke-cak ke-cak’ rhythmically and repeatedly. In the middle, there is a coconut oil lamp. The Kecak Dance is usually performed for dance-dramas revolving around the Ramayana epic, although the famous epic was only inserted into the dance in the 1930s. Originally, the dance is part of the Sang Hyang sacral dance, which, according to ancient Balinese belief, is used to communicate with spirit gods or ancestors who have been sanctified. The dancer becomes a media liaison that the gods or ancestors can use to convey messages. The Kecak Dance is the most unique dance in Bali, mainly because it is not accompanied by any musical instruments but only by a chanting choir. To watch the performance at the Uluwatu Temple, visitors have to buy tickets at 70,000 rupiahs per person. The shows start at 5:00 PM and are held on a daily basis. The Uluwatu Temple is a Hindu temple located at the Uluwatu cliff, which offers overlooking views of the Indian ocean. To get there from the center of Bali, it is best to take a cab since the road is uphill. Many Uluwatu Temple tours are also available; these usually combine the Kecak performance with the other attractions in the Temple, such as fire dancing. While Bali is best known for its two extremes – wild parties and serene yoga meditations – it has a lot of other great adventures in between, and one of these is scuba diving. Bali has the best dive sites in Indonesia, which is hardly surprising since the island is often considered as one of the world’s most beautiful. The scuba diving sites in Bali are varied and offer many thrilling adventures for divers; you will see deep drop-offs, coral ridges, steep banks, volcanic outcrops, and beds of seagrass. Bali is also home to one of the most famous wrecks known in the diving community, the USS Liberty, which lies just off the shore of Tulamben. It is best loved among divers because it is relatively easy to access and the water is shallow, so it’s easier to enjoy the sight of the wreck and the myriads of species that thrive on it. Its diverse and colorful marine life is yet another reason to embrace the scuba diving lifestyle while in Bali. You’ll never get tired of all the frogfish, the seahorses, the bumphead parrotfish, the reef sharks, and the cockatoo leaf fish, which are just some of the truly fascinating ocean species you’ll come across while diving. 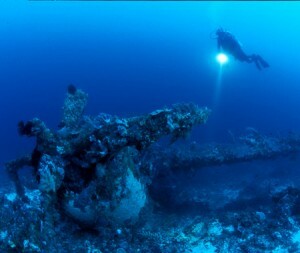 There are many ways to experience Bali scuba diving. 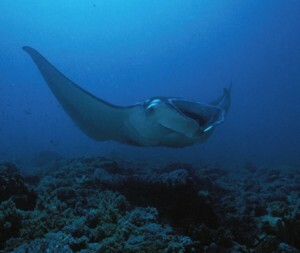 You can join 1-day diving trips or participate in a diving safari, which lasts for several days. These custom tours are widespread in Bali and are very convenient as guides can lead you to the best spots and sights around. The diving season in Bali runs throughout the entire year, but the best diving conditions are often between April to December, especially June to September, as many sunfish and pelagic fish visit during this time. But if you’re diving between June and September, stay away from Nusa Penida, Amuk Bay, and Padang Bay as they usually have rougher seas due to the dry monsoon winds. After December, on the other hand, rain is often expected, so visibility in most of the top dive sites is reduced.